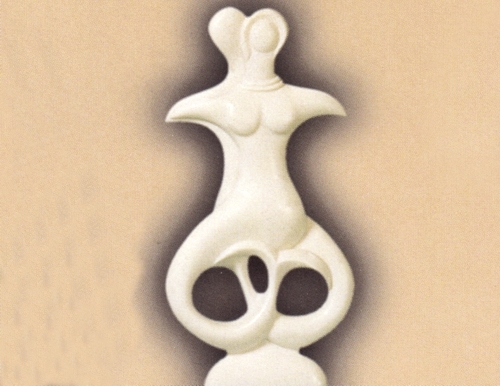 A beautiful Cycladic idol of timeless beauty and form. The sculpture produced by the artisans of the Cyclades islands was very unique compared to the art being produced by the Egyptians and Mesopotamians. These sculptures, commonly called Cycladic idols, were often used as grave offerings, which points to the obvious role of religion in society. All of the idols were made of Parian marble.